Clinician Biographical Information Jeff Turner has been the Director of Fine Arts for the Allen Independent School District since April 2015. Prior to his appointment in Allen ISD, he served as the Instrumental Music Coordinator for the Plano Independent School District for 8 years. He taught orchestra for sixteen years before moving into administration. He served as the director of orchestras at Plano Senior High School for seven years and before that was the director of the Vines High School Orchestras and Williams High School Orchestra also in Plano. Mr. Turner earned a Bachelor of Music Education from New Mexico State University in 1991 and a Master of Secondary Education from the University of North Texas in 2002. Before moving to Texas, Mr. Turner taught orchestra for five years in Las Cruces, New Mexico where he taught grades 6-12. Under his direction, his orchestras in NM and Texas have received numerous first division and sweepstakes awards at local and national festivals. The Plano Senior High Orchestra was a consistent finalist in honor orchestra competition (string and full) every year under his direction. The Plano Senior High Symphony Orchestra was invited to perform at the Midwest Band and Orchestra Clinic in 2003 and was named the 2007 Texas Music Educators Association Honor Full Orchestra. 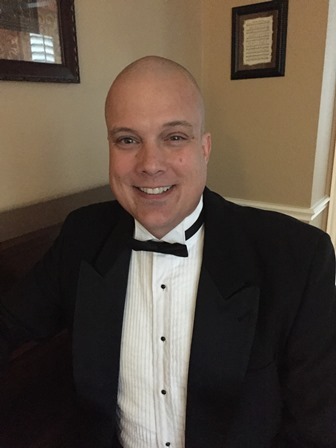 Mr. Turner is currently the Texas Music Adjudicators Association Orchestra VP and served as the Texas Music Educators Association Orchestra Division Vice President from 2009-2011. He has also served as secretary for the Southwest District of the New Mexico Music Educators Association, President Elect for the NM chapter of ASTA, and elected Vice President for Orchestra for the NMMEA. He is the past orchestra division chair for TMEA Region 24 and has served in many other volunteer positions for TMEA at the region and state level. Mr. Turner holds memberships in Texas Music Educators Association, Texas Music Adjudicators Association, Texas Music Administrators Conference, Texas Orchestra Directors Association, Mu Omicron and is listed in Who’s Who Among America’s Teachers. He has also taught at Texas Tech, Baylor, New Mexico State, and Hummingbird music camps as well as a chamber coach for The Institute for Strings at SMU. Mr. Turner lives in Plano with his wife, who is also a music educator, and their two boys. He is an active all-region clinician and adjudicator in Texas and NM and has conducted All-State orchestras in New Mexico and Kentucky. Mr. Turner is also the concertmaster of the orchestra at First Baptist Church in Dallas and performs with various professional groups in the Dallas area. In his free time, Mr. Turner enjoys chasing/losing golf balls on the golf course and working on woodworking projects in his shop.